Arcadia will debut an immersive, 360 degree dancefloor experience called The Reactor at its two-day London show in May. Supporting the famous spider structure in Queen Elizabeth Olympic Park on Saturday, May 5th and Sunday, May 6th, the new area promises to offer cutting-edge physics, high octane energy and slamming basslines. The Reactor will feature an ambitious laser installation, performers flying overhead and a DJ chamber at its core. It will also continue Arcadia’s principles of using recycled materials including parts that have shape-shifted on the road from New Zealand to Burning Man. Playing The Reactor on Saturday will be Eats Everything, Boys Noize, Matador and Paul Woolford. Sunday sees a RAM Records takeover with Delta Heavy, Bad Company UK, Calyx & Teebee b2b The Upbeats, Chords b2b Bensley, Culture Shock, Ed Rush & Optical among the DJs. 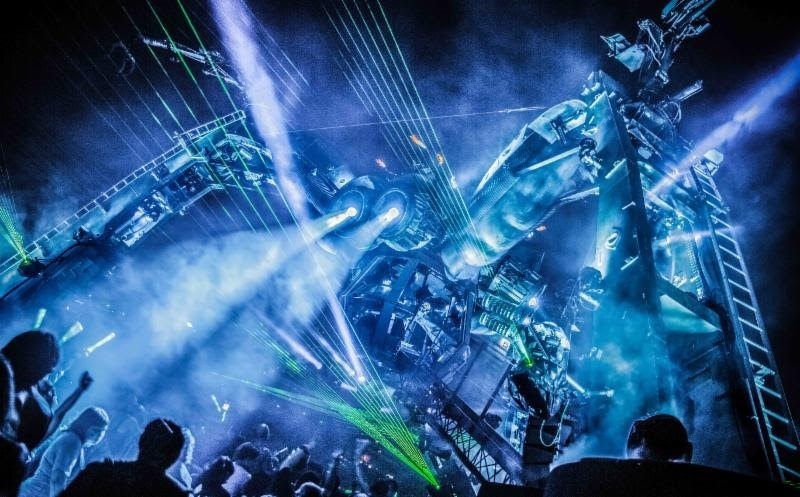 Meanwhile the outdoor spider will feature its Metamorphosis show both days plus Leftfield, Sven Väth, Groove Armada, Dusky, Max Cooper and Norman Jay on the Saturday; Rudimental, Noisia, TQD, Coki & Mala ,Preditah b2b Bassboy, Ed Solo b2b Serial Killaz, Dre Skull & Jubilee and DJ Vadim on the Sunday. For tickets and details go to arcadialondon.co.uk.